There's no need to feel sorry for the person who decides to buy a new Aston Martin and say, "I just wish it looked more breathtaking." But when famed coachbuilder Zagato takes a DBS and a DB9 Volante and makes them more beautiful, you quit judging. 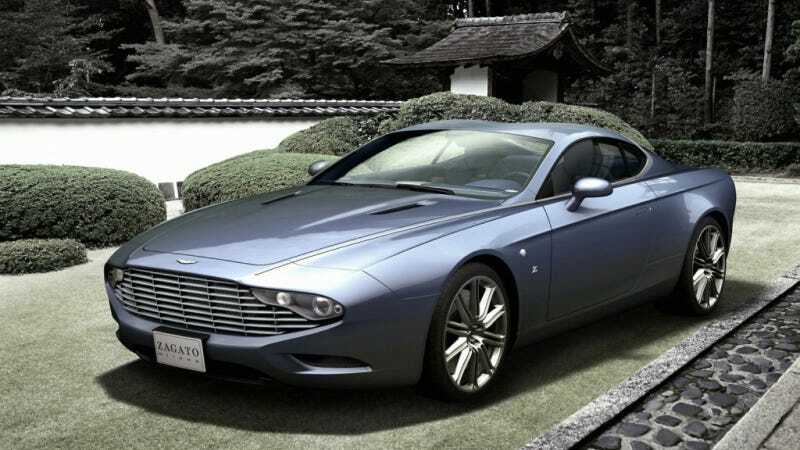 Shown off at the Aston Martin Centenary today, Motor Authority reports the hardtop DBS Coupe Zagato Centennial was commissioned by a young Japanese businessman. Evident is a longer grille than the standard DBS, with the headlights buried in the corners below the massively long hood. It sports a bubble roof and a bit more length to make it more of a special grand tourer. And special, it is. Those design traits, minus the roof, have been adapted to the also-gorgeous DB9 Spyder Zagato Centennial for Aston Martin collector Peter Read. The transformation makes it look actually very different than the standard DB9 – except for the fact it's still a 510-horsepower V12 grand tourer. It's just now with added grand. For better touring.